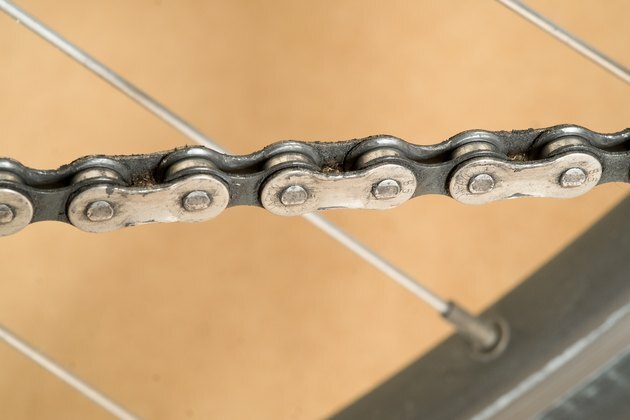 Checking your bicycle chain periodically can give you a heads-up to potential problems. 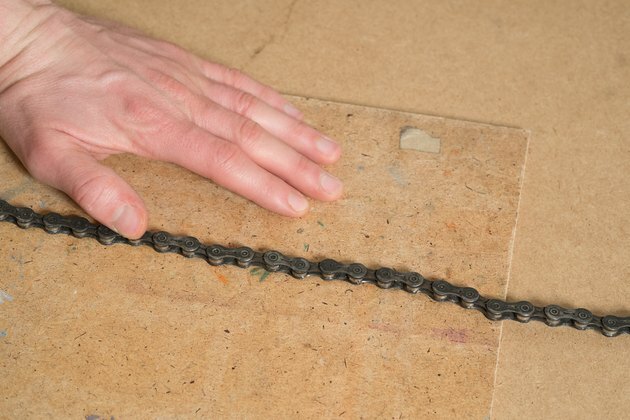 Bike chains can wear out over time and possibly break if you don't maintain them properly. Sheldon Brown of Harris Cyclery suggests visually inspecting the chain for link wear, as well as build up of dirt and grease. Should either of these issues affect your bike chain, it is necessary to remove it for cleaning or replacement. You can accomplish removal without a special tool. Lay the bike onto a solid work surface or the ground with the chain side down. You might need to remove the pedal from the crank for the bike to remain stable as you work. 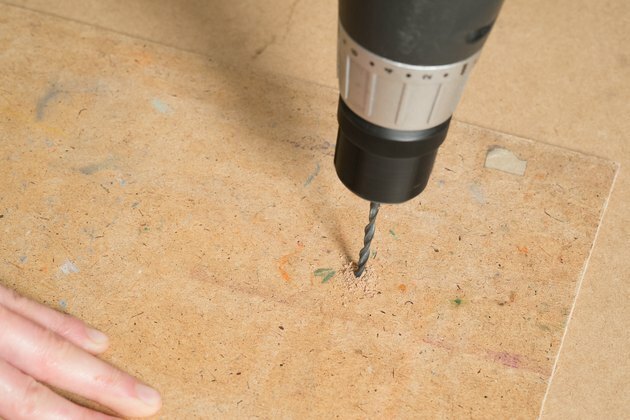 Drill a 1/8-inch or 1/4-inch hole through a small block of 2-inch-by-4-inch dimensional lumber with a drill and wood drill bit. 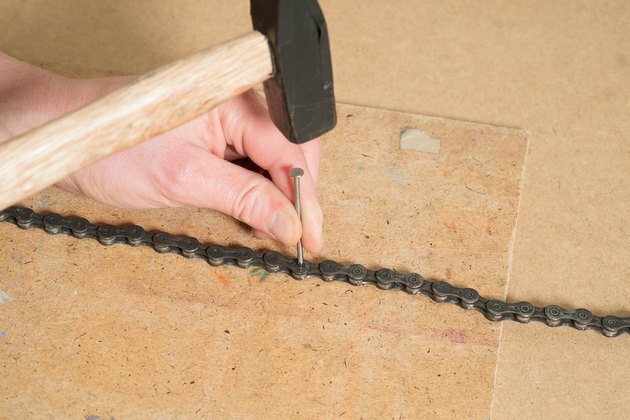 Without the hole, the block of wood would impede the removal of the rivet from the bike chain link. Tap the punch or nail with a hammer to drive the rivet from the bicycle chain. Do not completely remove the rivet from the chain link. Pull the bike chain apart where you loosened the rivet. Take the bike chain off the bike.